How is your day so far? Mine is pretty great, though I do not have much voice left since I spend last night screaming like a little girl at The Weeknd’s concert, how cool is he? I’ve been a bit absent lately because of traveling and my busy schedule but that is also good because I got a lot of things to tell you about that I hope you will enjoy. Being invited to London Fashion Week this year made me really happy because it was my first major fashion event. London Fashion Week 2017 offered me a great experience that I will never forget. 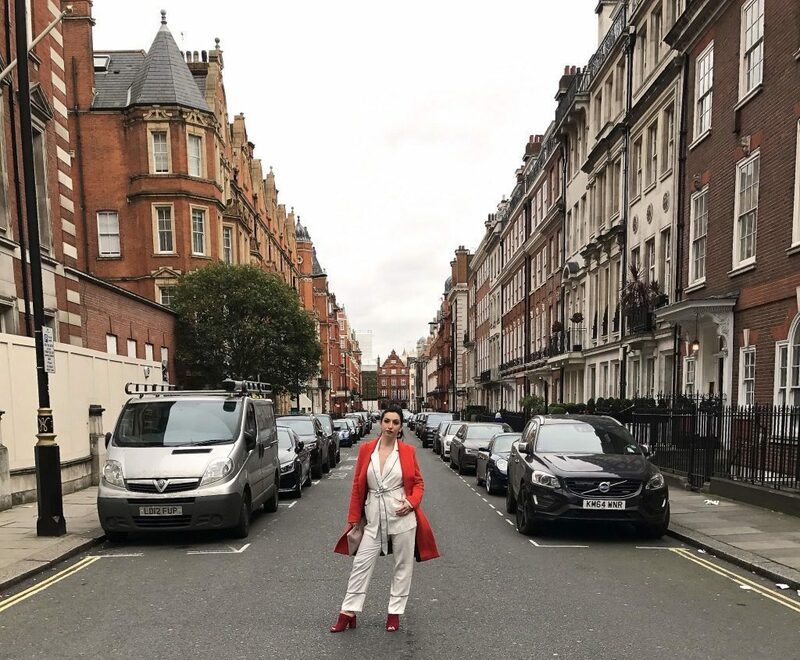 Even though I could only be there for one weekend, I managed to see collections of amazing designers, meet other bloggers, get a better idea of the newest trends and meet people that are a true inspiration to me. 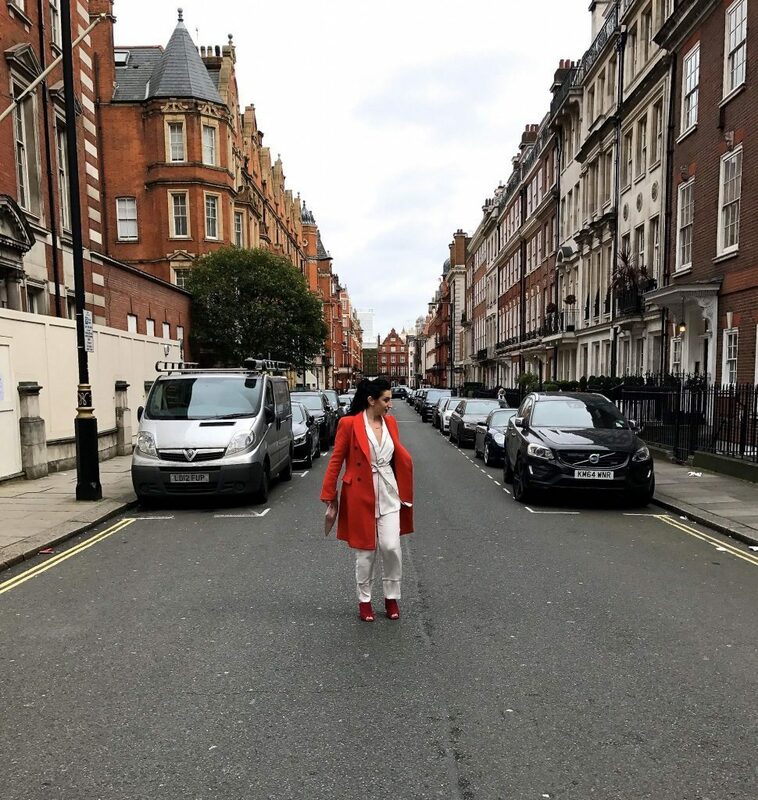 My outfit for the Fashion Week was a pajama suit from NA – KD and mule shoes from TopShop together with an old Zara Red coat that I picked to match with my red shoes. The pajama suit was really comfortable, the fabric is not as delicate as it looks like so it’s easy to maintain and it’s one of the biggest trends for this year. 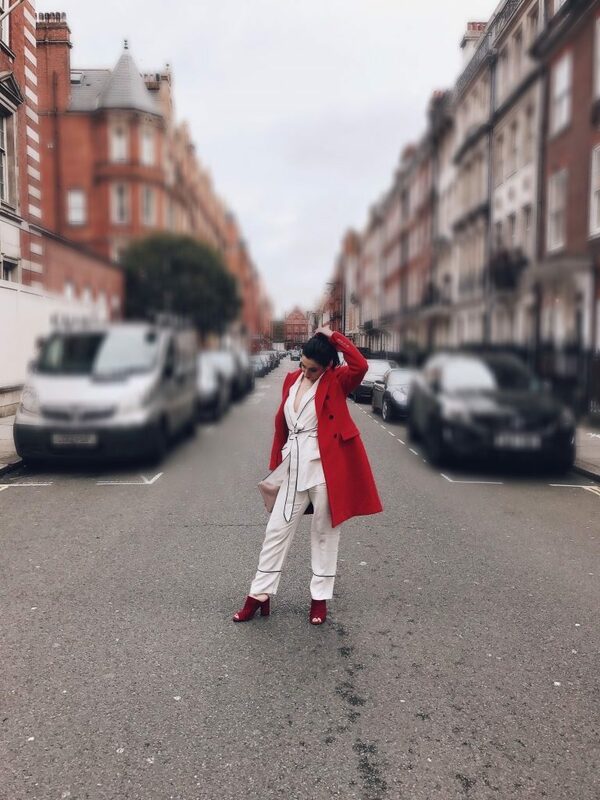 The suit pieces can also be worn separately for example the shirt with a pair of jeans and the pants with high waist top or really any other top. Another big trend this year is Mules Shoes, mainly closed toe variants but I am usually a half size when it comes to shoes so if I wear full closet in the front I find it hard to get a perfect fit that is comfortable to walk in. And trust me, I did lots of walking in those days, I am talking many kilometers. You can read more about the Mules shoes in my previous articles here. All in all I try to combine the newest trends of this year with my personal style and I think it worked, I got a lot of compliments about the outfit and pictures taken by designers which for me is a big deal. Stay tuned with my website for there are more articles to come or even better subscribe to my newsletter or follow me on BlogLovin. How did you like my outfit?